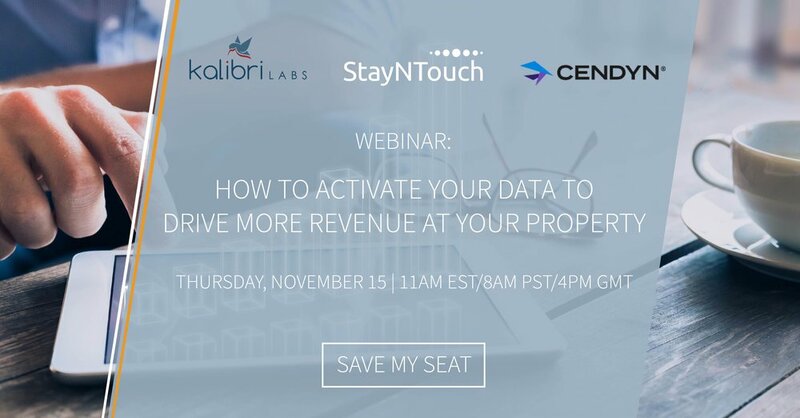 Kalibri Labs, StayNTouch, and CENDYN team up for a joint webinar on Thursday, November 15th at 11AM EST to unveil how to use data and analytics to expand your hotel's revenue potential. Busy during the live webinar? No worries! Following the webinar, all registrants will be sent a link with the recording of the event, so please be sure to register!